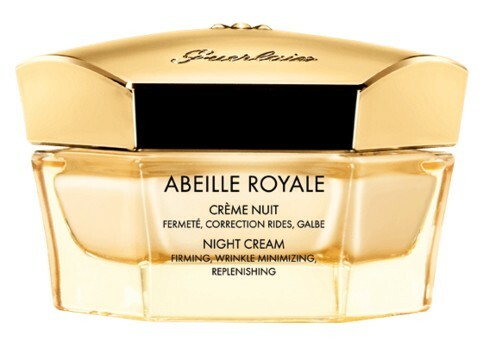 Abeille Royale Night Cream optimises the skin's ability to renew itself during sleep. Upon waking, the skin is smoothed, features appear clearer, the facial contour is redefined, and the face appears resculpted. The cream’s enveloping texture enriched with beeswax melts into the skin, bringing instant comfort and helping to reshape the contours of the face. Fragrance: A sunshine nectar done by Thierry Wasser, nose of Guerlain: honey, fresh and airy fragrances. - Firm: Make gently dabbing movements with your fingertips along the contour of your face. Repeat starting 2cm higher and moving towards the hairline. - Smooth: Lightly tap your fingertips over your face, paying particular attention to the areas most prone to wrinkles. 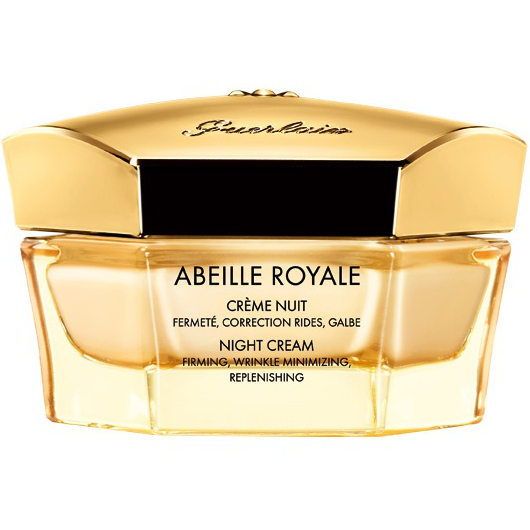 Though in general Guerlain Abeille Royale Night Cream is intended for more mature skin (I believe at least 35+ or even 40+), I decided to try it on my first wrinkles since I was lucky to get my hand on several samples last month. To this day I have used them all. This cream is something out of the fairy-tale: extra light, non-greasy and efficient at that. I tried it for a week and a half and several of deeper wrinkles I already managed to acquire in the past have lessened visibly. Skin felt smooth and nourished each morning, just like after a good rest and proper nourishment. The cream's scent is totally fabulous; no other cream has ever smelled better than this one - a true signature of a gigantic perfume company. However, as they say, beauty demands sacrifice, and in the case of Guerlain Abeille Royale Night Cream the sacrifice is the money i.e. being the incarnation of royal treat for your skin the cream is madly expensive. All things accounted for, I will definitely consider using Abeille Royale product line in 5 years or so (if it is not discontinued) when my skin will face real wrinkling challenges. For now I will stick to my usual routine mainly due to the high price of the good. "great for maturing skin, not so great for your purse :)"